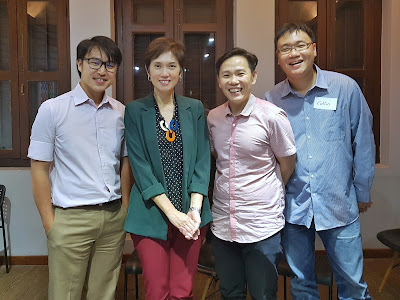 I recently attended an informal meet up with SMS Josephine Teo together with a group of other parenting bloggers, chatting about the challenges of parenting. The takeaway for the session was that every family has its own concerns and needs, but we do agree that as long as we are working parents, the employer plays a very important part in establishing a healthy work-life balance for us, the employees. Unfortunately we all know that legislations may not very helpful for that aspect. As much as the Government hopes for fellow citizens to procreate, the choices in life truly lies in your hands. You had a choice between a spanking new car or taking public transport, going for a designer bag with name that one can hardly pronounce or a more economical one. To buy a cup of frozen yogurt that cost as much a full meal for that average person in the street was also a choice you made. You definitely had the choice to spend and to be happy. But yet is not uncommon to hear about youngsters these days, or even my peers complaining about the cost of living and how they have put off having starting a family of their own due to their fears of child-raising costs. However is the situation really this bleak? It is only understandable human nature that one may fear the unchartered waters but it also holds true that life rewards the bold and courageous. Never try, never know they said. This is not some useless 10-pointer article that you find online giving you half-baked advice on how to save money or why you should have children. But this is just MY story of how we survived having four kiddos that I would like to share with you. I really wanted to be romantic but my marriage proposal was actually brought up by my mother-in-law. I had barely joined the workforce back then when she (girlfriend's mother back then) said to me, "Steven, you know hor, our neighbor two units away is selling their 3-room flat, you want to buy or not huh"? With that conversation, my fate was sealed, and I knew I had to find out how to make that happen. Luckily the flat was only going for its valuation, meaning I need not come up with any cash-over-valuation. It was really important because I had no savings at all, having only started work not too long ago. As we were eligible for HDB 1st-timer grant of $30,000, as well as the Proximity to parents grant of $10,000, I got a whopping discount of $40,000. Guess how much was my monthly repayment for my HDB loan over 30 years? It was $116 per month for me and $115 for my wife. We started small, but we lived within our means and we were happy with our situation. 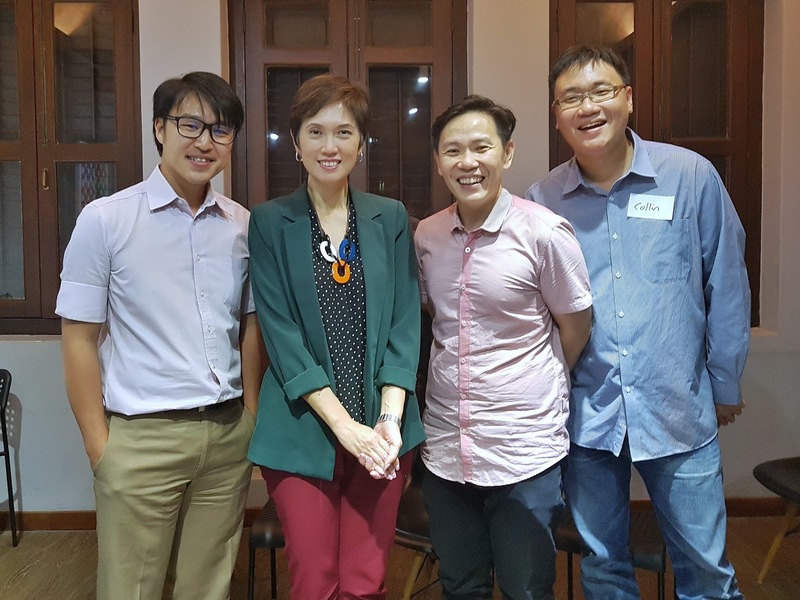 Today, the CPF Housing Grant for first-timer couples is enhanced to $50,000 for a 4-room or smaller resale flat, and $40,000 for a 5-room or larger resale flat. The Proximity Housing Grant has also been increased to $20,000 to further help families who want to buy a resale flat near their parents. We could have chosen to live our lives differently, getting a car and going for those exotic holidays whenever it pleases just the both of us, BUT we chose to have kids. It was our choice. We were definitely not influenced by the Baby Bonus, and it just happened that our vision of having kids was aligned with the Government's. I sure hope no one is so short-sighted as NOT to realize that the Baby Bonus of a few thousand dollars is not going to compensate for a life-time of "liability"! However having said that, the money definitely came in handy when I had to pay off the credit card bills for my wife's caesarean birth! And for new parent who needed to get that tall chair, baby pram, or wanted to do up a baby room, you can think of it as the Government's gift for the family. Who would complain of having more "free" spending money? Before we knew it, our family grew and so did out expenses, especially our childcare costs, which is definitely required since both of us are working. My mother-in-law whom so happily edged me to buy our own flat, did help us out a fair bit with taking care of our infants before they reach the age of 18 months to be eligible for childcare. There was one point in time when we had all 3 children in childcare at the same time and that meant I had to fork out almost $3,000 per month just for the fees. Thankfully for the Childcare Subsidy scheme, our childcare cost was reduced by $300 per child, and that was definitely a lifesaver! But that is not all, between the 4 children we also have a total of $36,000 in Government matching to their Baby Bonus Child Development Account (CDA) account. That simply meant that our childcare fees are halved again whenever I pay through their CDA accounts. That's pretty cool right? 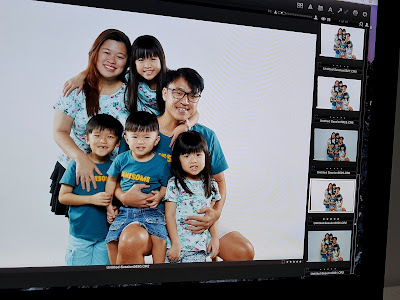 We are definitely not high-income earners, and can be considered middle-class at very best hence the Parenthood Tax Rebate (PTR) of $55,000 to offset any of my income tax payment would take me a REALLY long time to use up. Why is it only MY account? That's because my wife need not pay income tax at all, as her Working Mother’s Child Relief (WMCR) of 15% for Steffi, 20% for Leroy, and 25% each for both Stacci and Louie meant she is only assessed at 15% remainder of her annual income. Sure sounds great right, cause we do our part in nation building also okay? As the children grew and needed more space, we also started looking out for a new home. We are so accustomed to our neighbourhood that we gave up the idea of having to uproot from our mature estate, especially now that the two older ones had settled well in their neighborhood primary school. Resale flats nearby command a pretty high premium BUT the new BTO projects that opened up a couple of years back attracted a horde of applicants too! Luckily for us, we managed to apply under the Third-Child Priority (TCP) Scheme and got ourselves a new 5-room flat of our choice, which we are expecting the keys to within the next few months! I don't think we will ever be so lucky to even get a chance to choose if we had applied together with the main group. Life's definitely not a bed of roses, even if it was; there are thorns that hurt too. I have a lot of complaints too, like why we cannot bring prams up buses unfolded (though now, the Government just announced that open strollers are allowed on public buses! ), why can't taxi allow more passengers especially if they are young kids or why there are so much homework to do? But when I delved deeper into the issue, I seriously feel that Singapore is still a wonderful place to raise my kiddos. No matter how much incentives the Government throw in to get singles together, or couples to have children, the choice ultimately remains with us, with ourselves. But if you are like me, and decides to have kiddos of your own, be sure to know that there are many Government grants and subsidies that you can tap onto to lighten your load. Sometimes, we Singaporeans are known to over worry too much. So be brave, it is not as scary as it might seem, but the rewards? Immense! This post is brought to you in partnership with SmartParents!